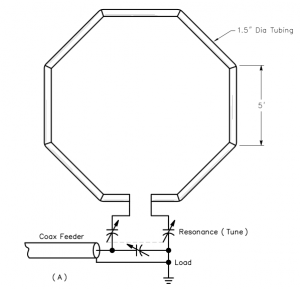 This article documents a series of NEC-4 models at 7MHz inspired by Paul Casper’s (K4HKX) small transmitting loop using 3″ conductor described on his web page at http://qrz.com/db/K4HKX . The basic loop dimensions derive from 3″ (76.2mm) OD copper tube, with octagon side lengths of 27″ (685.8mm). Gamma match is not a broadband impedance transformer, so it must be classed as a narrowband match. The ARRL and other publications refer to the Army Loop or Patterson match. 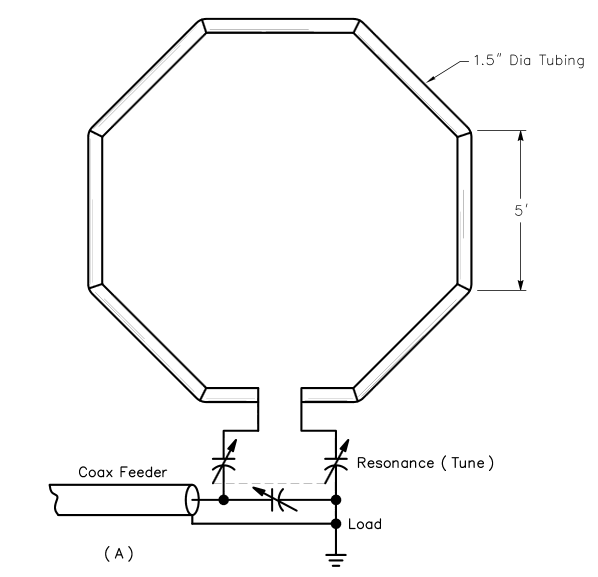 Patterson described his antenna system at (Patterson 1967). Hams seem to call any configuration that uses only capacitors in the matching circuit a Patterson or Army loop, though they are incorrect. The ARRL Antenna Book 21 has a nonsense circuit that cannot work. I have been asked whether the Field strength / receive power converter can be used to solve a Eb/N0 (Eb/N0) design problem. Eb/N0 is a method often used for specifying the relationship of signal and noise that will give adequate bit error rate in a data demodulator. NEC-2 and NEC-4 support a GM card to translate and rotate a structure in three dimensions. It has been apparent to me that the two local digipeaters often collide. One uses UIDIGI and therefore is conformant with the p-persistence channel access algorithm. The other is a Argent Data T3-135 which does its own thing. I have written on incompatibility of Argent Data TNCs with other devices. In pursuing apparent packet loss, I have run up a Paccomm Tiny-2 MK-2 TNC with 6PACK firmware, and my aprx server using Linux AX25 kernel support and 6PACK driver. One of the inventions was the KISS protocol (KISS for keep it simple stupid) from Mike Chepponis (K3MC) & Phil Karn (KA9Q), and an implementation for TNC-2. Continue reading The KISS TNC – too simple, too stupid? 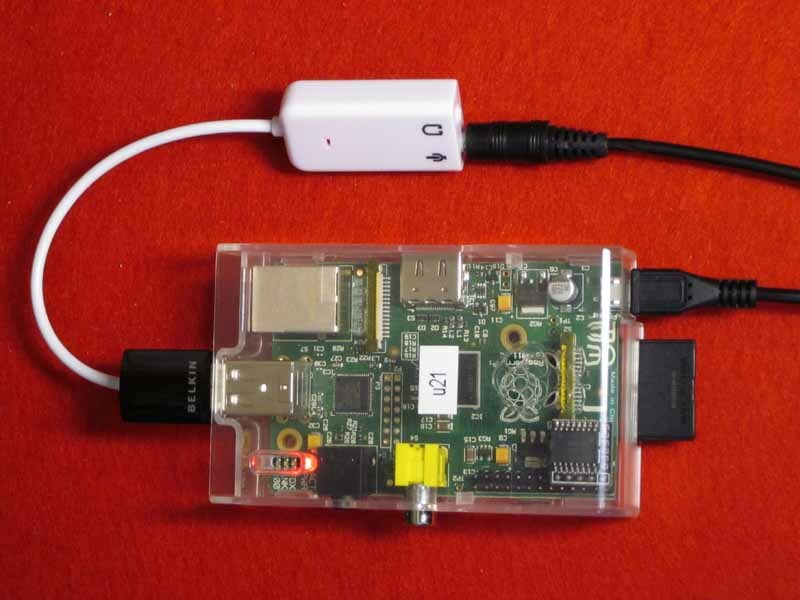 I have posted several articles on headless APRS servers based on RPi. This article describes one based on RPi, AX25 soundmodem using a $2 USB sound card, and aprx v2.09.